LIOTHYRONINE SODIUM or T3 is a thyroid hormone that greatly affects the basil metabolic rate in a stimulating sense. This hormone is involved in many cellular functions including the metabolism of carbohydrates, fat and proteins. When an individual is no longer producing enough of this hormone on his own, the metabolism does not function properly. By supplementing with T3, this provides the body with the thyroid hormone and it should return the metabolism back to proper working order. CAS number: 6893-02-3. Dosation: 50 tabs/bottle, 50mcg/tab. An advantage of T-3/Liothyronine administration over T-4/Levothyroxine was the lack of dependence upon the liver enzyme responsible for T-4/T-3 conversion. During diet restricted periods the liver naturally decreases the liver enzyme levels as a control measure to prevent metabolic rate induced starvation. Just as the liver increases production of this enzyme in response to elevated calorie intake it also reduces levels in response to decreased calorie intake. Remember that T-4/Levothyroxine is only 20% as active as T-3/Liothyronine. The abuse of synthetic T-3/Liothyronine will result in severe suppression of natural (endogenous) thyroid function. This is especially true of this drug because it actually circumvents the normal thyroid hormone manufacturing process the body utilizes to produce endogenous forms as required. 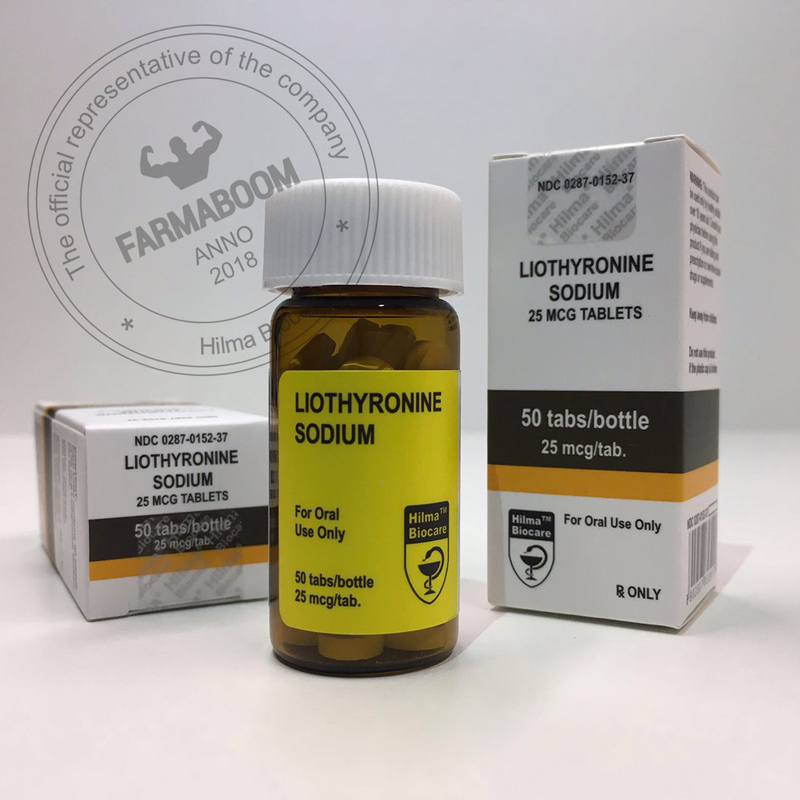 Simplified this is because T-3/Liothyronine is the most potent thyroid hormone so the body shuts down each level required for production to try to reduce circulatory T-3/Liothyronine levels. Of course this does not reduce the level if the hormone is being administered exogenously (from outside the body). Though it is definitely a physiological possibility, I have not yet found a case study to support this statement. However, there is a common occurrence of thyroid gland/function rebound in natural endogenous thyroid hormone production. It seems that it was common for individuals to realize an “increase” in endogenous thyroid hormone production of 120-130 % within 3-15 days after drug discontinuance. This means an individual would commonly see an increase in their thyroid hormone production of 20-30% above their normal pre-drug administration levels, in many cases.